Dawning beautiful, bright, glowing skin doesn’t have to mean purchasing expensive, chemical-filled potions from your local department store. There is an abundance of items that you likely already have in your kitchen pantry that will work wonders for your skin, sans the toxic ingredients. Pure and simple food items are just what your skin needs for a healthy boost that you can see and feel. It may surprise you the common foods you can use to create a diy facial mask. These recipes are some basic and simple ideas on how to incorporate everyday foods into skin care. Be creative with other foods as well. If you know it to be healthy to ingest, it’s likely healthy and beneficial to your skin. For example, nutrient dense foods like kale and strawberries are full of antioxidants and healing plant compounds called phytochemicals. Thus, when used on your face, these foods can give your skin healthy boost of nutrients. Your skin will thank you. Honey is one of the single most nourishing skin care ingredients. Especially when used in raw form, honey naturally moisturizes and can help improve a multitude of stubborn skin conditions. It also has antimicrobial properties, making it an effective acne fighter. Honey’s capability of keeping skin looking and feeling young is superior, as it is robust with antioxidants. Honey works as dual-acting agent, as it both cleanses and moisturizes skin. In other words, you can apply this mask and wash it off without a need for a serum or moisturizer. The honey will help balance your skin’s oil production with regular use. It’s truly one of nature’s best skin ingredients for homemade face masks. After 5-10 minutes, rinse the honey off with warm water and a washcloth, if needed. Lemons naturally detoxify your body and balance your internal pH, and they have the same positive effect on skin. They help release impurities and their citric acid helps rejuvenate your top layer of skin, safely and gently. Using lemon juice in this diy facial mask will give your skin a fresh and vibrant glow. The greens in this mask provide something for the juice to hold onto, so you’re able to apply it to your face. However, greens also pack a punch. Chock full of phytochemicals that fight against skin damage, powdered greens give your skin the same excellent benefits as they provide the inside of your body. As with all of these homemade face masks, remember to always use organic ingredients when you can. This will insure that your skin is not absorbing toxins and chemicals from pesticide usage. You can typically find powdered greens located in your local health food store’s supplement section. Aim for greens that are not flavored. Let the mask sit for 5 minutes, then rinse off with warm water and pat dry with a clean towel. This breakfast staple provides a wide range of vitamins, minerals and nutrients. Oats are effective at soothing dry, itchy or irritated skin conditions. They also alleviate acne breakouts, as oats absorb excess on oil on the surface of skin. Powdered oats provide a gentle and effective means of exfoliating your skin and unclogging pores. You can find them in merely any grocery store. Purchase whole oats or powdered oats if your store carries them. If you can’t find powdered oats, you can certainly make your own. Simply put the desired amount of whole oats into a food processor or coffee grinder until the particles are finely ground, like flour. Raw honey is used in this mask as a way to create a paste with oat powder. As with merely all homemade facial masks, keep in mind that honey can be used as the foundation of the recipe. It enhances the health of your skin while helping all of the ingredients combine for easy application. Let soak into skin for 5-10 minutes, rinse thoroughly with warm water and pat dry with a clean towel. The robust flavor and zip that cinnamon provides is not all that this bark has to offer. Internally, cinnamon helps regulate blood sugar and even naturally boosts your metabolism. On your skin, cinnamon acts as a stimulator of blood flow, thus leaving your skin feeling and looking alive, awake and rejevenated. When combined with honey, cinnamon makes for a very effective healing concoction for many skin problems. Keep in mind, putting too much cinnamon in this mask will make your skin feel irritated and warm. This is due to the increase in blood flow–thus, you are not being harmed. Rather, its just uncomfortable. So, aim to keep the cinnamon content as suggested. You can find powdered cinnamon merely anywhere. However, invest in organic cinnamon for the best results. You can also use organic cinnamon sticks. Similar to oats, you can powder your own cinnamon using a food processor or a coffee grinder. Apply to face, avoiding your eyes. The pungent cinnamon can be irritating ot them. Leave on for 3-5 minutes. It won’t take long for you to feel this one working. Rinse off completely with warm water and pat dry with a clean towel. This duo might sound interesting, or maybe too interesting. You’re likely using to drinking your coffee and eating your eggs separate from one another. Regardless of how odd it sounds, coffee and eggs are two skin care ingredients that can truly nourish and revive your skin. A fantastic ingredient to comprise a diy facial scrub is coffee. You can repurpose and recycle already brewed coffee grounds to improve your complexion. When mixed with an egg, coffee grounds combine to make a mask that doubles as a diy facial scrub. The protein and nutrients found in free-range, organic eggs help preserve and protect skin, keeping it tight and young looking. With frequent use, you may see improvements in wrinkles and fine lines. Combine the egg or honey with the coffee grounds, making sure to break up the yolk. Apply the mixture to your face, avoiding the eyes. Let soak into skin until it dries. To add in an exfoliating step using the coffee grounds, rub the mixture into circular motions when you are washing it off. Your skin will feel fresh, as you’ve gently removed dead cells off the surface of your skin. Wash thoroughly and pat dry with a clean towel. And here’s a video giving you ideas for peel off face masks! 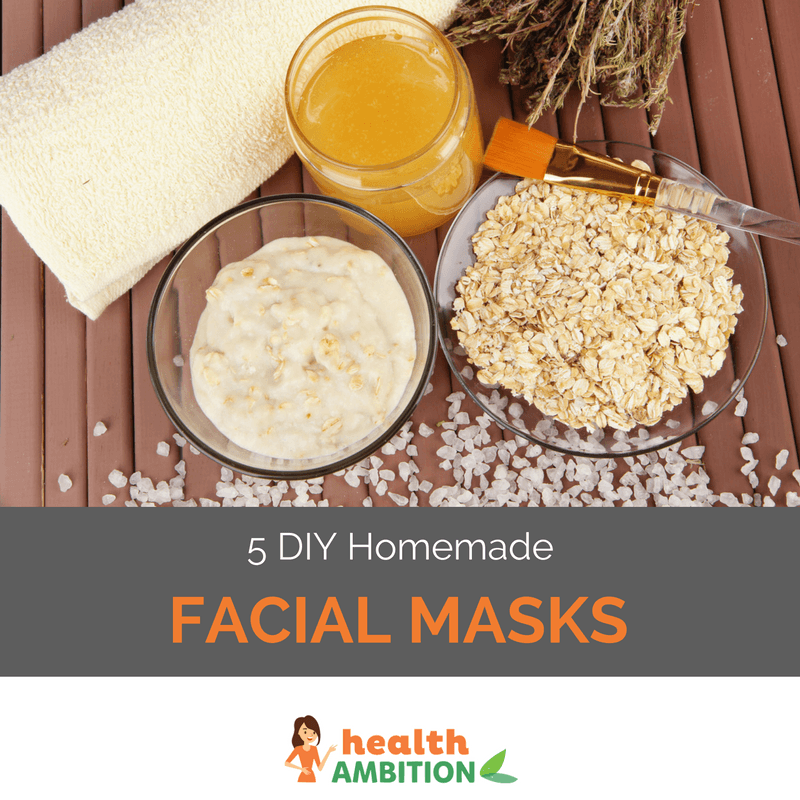 Homemade facial masks are an inexpensive and creative way to achieve healthier skin. This way, you know what’s going onto and being absorbed into your skin and you’re finding a way to be creative and think outside the box in regards to food and skin care. Premade jars of these masks (sans the egg mask) make for great, unique, handmade gifts.